We were surprised how data-centred Telus works. They measure a lot and even organise data analysis workshops with people from different departments together. Together they interpret the data and see how they can improve the customer experience by working across departments. They manage their customer satisfactions scores and formulate actions to improve them. It was great to have both Judy and Chris in the interview together. 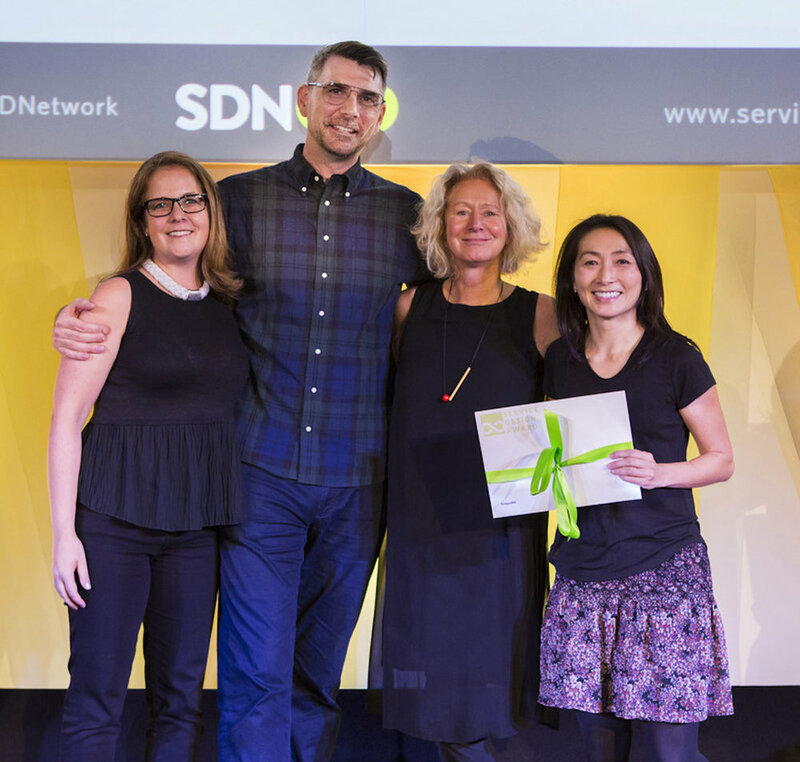 What was inspiring for us was the fact that Telus is an organisation that has integrated Service Design in their daily business. They have Service Design in-house and do lots of work by themselves. But often they also work with Service Design consultancies to get a different point of view. This collaboration between in-house and external Service Designers seems like a very interesting one to get to the best long-term results possible. In Belgium we don’t see this in practice yet (let us know if you have seen it already!). But we see a lot moving. Some organisations are starting up their internal Service Design knowledge. We look forward to collaborating. We met Chris during the conference in Madrid and arranged an interview for the podcast (episode 19). The interview was scheduled an hour before the award winning ceremony. At this moment we did not know yet they would win an award. So 4 episodes later Chris is in our podcast again! :-) Luckily he is great to talk to!